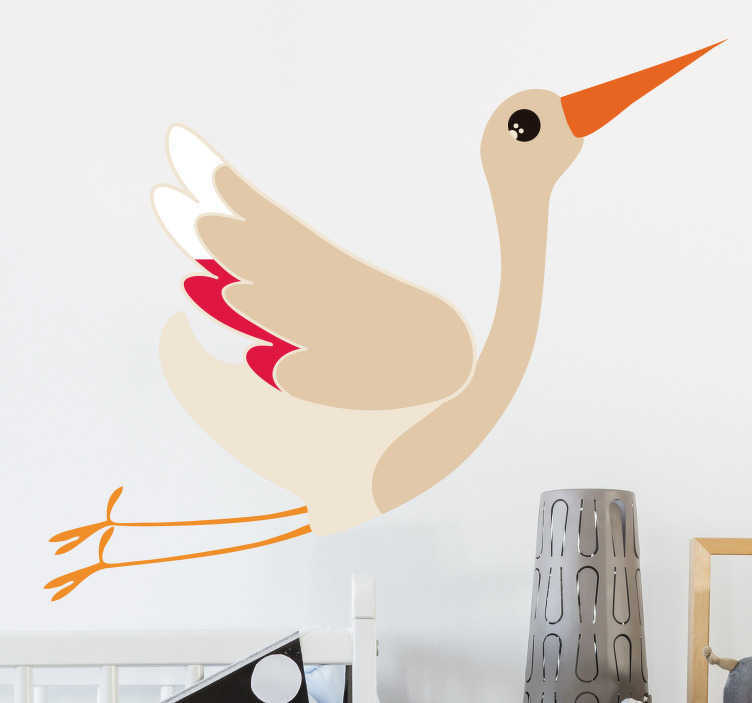 A beautiful wall decal depicting a magnificent Stork in full flight. An immensely graceful creature, the Stork is often the attention of design and this vinyl sticker captures its elegance perfectly. Great for any wall. Available in a variety of colours and sizes. like all of our stickers, it is easy to apply and extremely long-lasting.